Question To Ask Yourself: Should I Move? Why move? Almost every first-time home buyer that I work with tells me that they will NEVER move again in their lives (they usually come back in a few years for me to help them with their next home loan). Whereas, all of my active duty military home buyers tell me they will see me in a couple of years for their next VA Loan when they are transferred to a new post. The Veterans I work with are somewhere in between “see you in a few years” and “this IS my forever home”. Now, my “seasoned” home buyers are often buying investment properties for passive income in their Golden Years or for their children attending college, or a home that requires less maintenance. And, even more people are moving in an effort to uncomplicate their lives. Did you know that every year more than 12 percent of the U.S. population will relocate. In addition, Americans move an average of almost twelve times in their lifetime. Why is that? Why move? There are many reasons people move. Check out the most popular ones below. Home ownership is the American Dream! When we are first starting our careers most of us rent a room or apartment. During this time we should be planning to become homeowners by establishing good credit and saving money. Changes in our family influence our decision to relocate. In fact, finding a home for the family is one of the biggest reasons why people move. For example, when the family is growing you may want to get a bigger house. On the other hand, when your children are grown you may consider downsizing. The next time you think of moving, make sure you’re prepared for it. Relocating means a fresh beginning. Are you ready to move to your new home? Many people will move to be closer to family. Having the support of family is a prime reason to relocate. We may relocate so our young children can benefit from having their grandparents in their lives. Alternately, adult children may move to provide support to aging parents. When families need to support each other, they will relocate to do it. According to the Census Bureau, about 9 percent of homeowners relocate due to a new job or when their current employment requires them to. Some people choose to move closer to their workplace. And although moving isn’t as easy as it sounds, some people still choose to relocate for long-term convenience and for practicality. Moving closer to where you work can save you time, money and effort. In today’s consumer culture sometimes bigger is better. Especially when current homes are too small to meet growing family needs. Also, upgrading to a bigger, better and newer home may be a way of rewarding oneself for wise fiscal behavior and hard work. As we age our needs change. Moving to a smaller one-story home that does not require much maintenance may be prudent. Also, proximity to medical facilities becomes important as we get older. So, are you planning a move? Upgrade? Downsize? 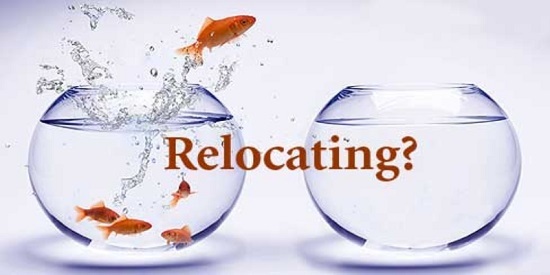 Relocate for your career? Move closer to family for support or to be supportive? Or will you buy your forever home to grow older in? Whatever the reason- make sure your next move is advantageous to you! Kara Davis of Crew Lending can help you with your next move. She is a leading provider of mortgages in Lake Charles, Sulphur, Westlake and the entirety of Louisiana. She can also lend in 47 other states. Remember that customer service is key in the mortgage lending process. For more information call Kara Davis at 337-842-0115 or click here for more information.